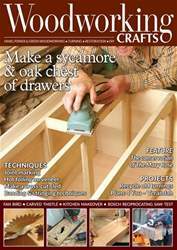 In issue 101 of Woodworking Plans & Projects, we have lots for you to enjoy. 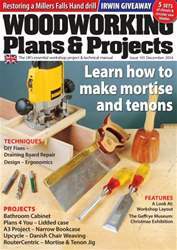 In our ‘Projects’ section, the Editor creates a mortising jig to use with a router; Amber Bailey restores a discarded oak chair using her Danish weaving skills; Jim Robinson shows you how to make a handy bookshelf and Simon Rodway makes a lidded box. 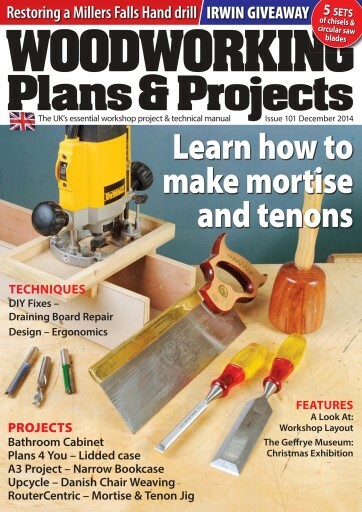 In ‘Techniques’ Walter Hall shows us how he brought an old favourite hand drill back to working condition; Chris Grace takes us through transforming a hole-in-the-wall into a stylish bathroom cabinet; the Editor shows us how to make an invaluable joint in Joint Solutions, before looking at the tricky subject of ‘ergonomics’ and fixing an old draining board. We take a look at the Geffrye Museum of the Home and the usual reviews for you in ‘Features’, as well as taking a look around David Barron’s workshop. In ‘Kit & Tools’, we test the Record Power BS350S bandsaw and take a closer look a range of outdoor power tools from Makita. 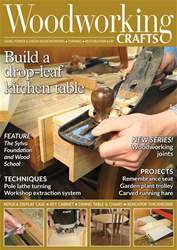 As well as all this, we also have ‘Leader’, ‘Hot Stuff, ‘Noticeboard’ and give you a sneak peek at the next issue. 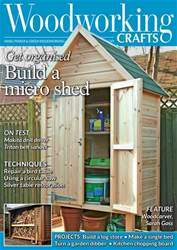 All this and more in issue 101 of Woodworking Plans & Projects.